Somdech Preah Sanghareach Chuon Nath is the Buddhist scholar of Cambodia who initiated to reform Cambodian Buddhism. His task of modernization of this peaceful religion happened during the early post-colonial era and his legacy has become the progressive connector between the end of colonialism to the beginning of modernization. This video clip is the original sound of Somdech Song Chuon Nath in his worshiping Triple Gem and delivering eight precepts to the laypeople. Thanks to the person who produced this great work. Many Buddhists will hugely benefit from this clear voice, beautiful and peaceful screening. Soum Anumotheanea Bon!! There is an alert on the cause led to the cold-blooded murdering of green forest activist Chut Wutty, these two videos shed us some light on that. Vishak Bochea or Vishaka Puja for the Year of Naga, B.E.2556 at the Khmer-Canadian Buddhist Cultural Centre. Tears have dropped down unconsciously while I was watching this video clip. I don’t understand the meaning of the song in Japanese language, but their appearance and activity tell us many things. The team of that Japanese students pursued zero tolerance in seeing Cambodian tragedy and stricken poor under such low arrangement on children and youth education circumstance. How could Cambodia build their bright future if those children grow up without schooling and proper education? Those Japanese students have helped those children on how to catch the fish for their long term survival…we need this mentality and dedication for Cambodian future! 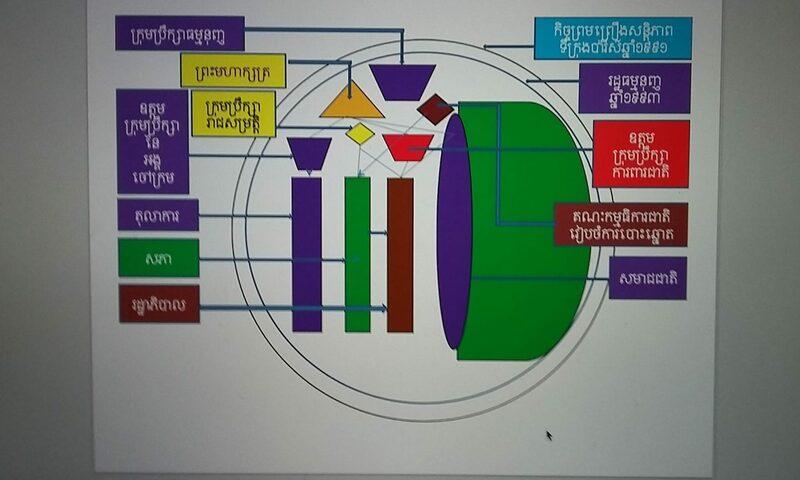 In Cambodia, the shape of the country is comparing like the bottom of the pan. All lucks, species and fertilizers have annually entrapped into the center of this pan bottom: the Tonle Sap Lake or Wesnters called it “The Great Lake”. Hence, from year to year, this great lake has become shallowed by the hand of the people. The people is partly blamable for the cause of this unsustainable use of the Tonle Sap Lake, but the key accountability importantly rests on the authority who should have political will to lay down proper management on Cambodian natural capital and take immediate action to handle it before it is too late for protecting our Great Lake. I have no intention to promote cashsender.com but the information on profit of airline and the cost payment for credit card company is impressive. This song is a good lesson for all Khmers to properly celebrate Khmer New Year. If you wash and pay gratitude the Buddha, you don’t forget to wash and pay gratitude parents at home who are the real Preah (alias god). Bon Pchum Ben Festival or Ancestor Commemoration Festival is controversial on its content on should people mourn to the death only or they should do both mourning and celebrating which is happening in different time set? However, it has become a universal value that mourning is the instructing of paying respect, gratitude and gaining mindfulness; and after that people can enjoy traditional entertainment to welcome new life, new jobs and new friends. All are collectively accommodating progress and prosperity at the morally responsible conducting. It is incredible that hail was pouring heavily during the middle period of summer in Canada. Tha Sophat, a 20 months old boy from Koak Roka, Siem Reap Province, has suckled fresh milk from cow for a living since his parents must leave for Thailand to work there. Tha Sophat is living with his grandfather and the compassionate cow who feed him fresh milk every day. Lok Ov Pok or Father, this word is more sacred than the word of Preah such as the Buddha, the Dhamma and the Sangha, or God in the theism religions. Cambodian Buddhists have wrongly sought Preah outside their home as they have never met the actual Preah. Of course, the actual Preah is the Preah inside our home: the Father and Mother. This song is reflecting on how to behave towards our parents. The blood and sweat of parents in upbringing children are heavier than the earth and unsurpassed by other virtues in this world. Children should behave properly in looking back to their baby and toddler. Cambodian Canadian people who have resettled in Canada have never neglected in practicing and promoting Khmer culture, Buddhism and community activities. Congratulate Ms. Meach Sithyka for your proud achievement from West Point School. Cambodia needs more women who share similar character like you: leadership, commitment, confidence and brave…cheer! When foreigners sing Khmer songs and speak Khmer language fluently, the spirit of ancient Khmers hypnotize everyone!